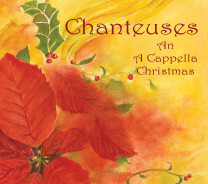 completely a cappella: just 17 voices (and an occasional “sprinkling” of percussion) all blending together for you! studio to put down 23 delightful musical tracks that you can preview right here on our website. diverse mix of delightful repertoire that you’ll want to listen to all year around. Enjoy!